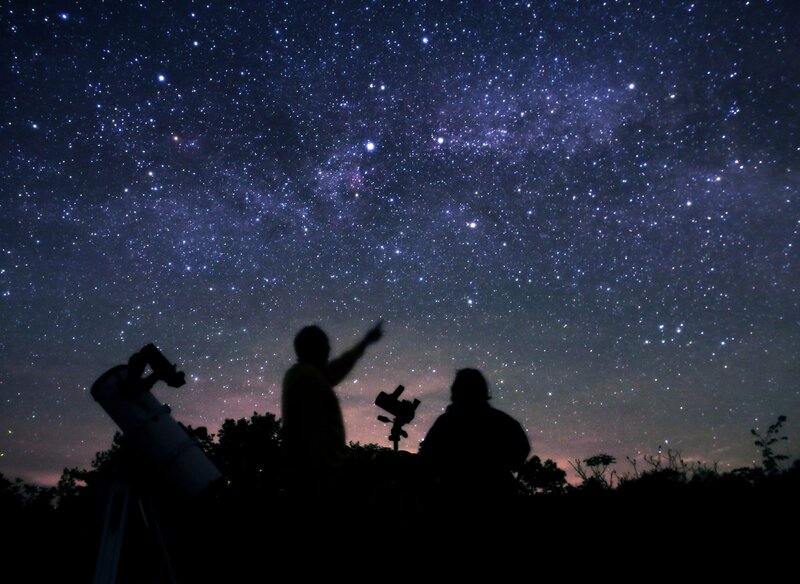 Star gazing is one of the most enthralling and rewarding experiences- one filled with quietude and solace, being in awe of the inconceivable vast cosmic universe. To put simply, just look up and get lost in the darkness of the beautiful skies. While it is extremely captivating to watch a sky filled with thousands and more stars on a clear moonless night, getting started in astronomy can be intimidating reaching to dead ends and frustration. So, where should you begin from? 1) Your eyes are your binoculars- The most satisfying way to begin star gazing is to observe the stars with unaided eyes. Make yourself aware of the starry names, use star chart to understand patterns, go on your terrace and understand basic cardinal directions- North-South-East-West. Basically, observe and soak in its beauty. 2) Self-learn- Astronomy is not just about owning fancy gears, it is more about your passion, skills and knowledge. With information and resources available online and offline (google, beginner’s books, guidebooks, websites for beginners), immerse yourself in understanding astronomy basics, read up on stars and constellations and changes in the movement of stars through seasons. Lay your hands on guidebooks to know what you should look out for in the sky, beginner level books to have an organised and comprehensive way of dealing with the subject. 3) Take up courses- If you are a serious learner, there are certified basic/ advanced courses available on astronomy that will vastly broaden your horizon. 4) Star gazing workshops/camping- Several travel companies today provide a unique experience of night camping and star gazing sessions guided by professional experts with top notch telescopes. Return home with wealth of knowledge. Make sure you make a note of your experiences and learnings. 5) Your first gear- If you remain passionate enough to take it a notch ahead, invest in a binocular instead of a costly telescope. Though binoculars are cheap, they are a great way to feed in to the enthusiasm of a beginner. Diving into your maps and guidebooks will become useful more than ever. 6) Connect with like-minded- There is a huge community of amateurs and beginners like you waiting to share their experience and knowledge and ask questions. Check out for such clubs, online community, FB groups and there is nothing more joyous than connecting over common interest. 8) Keep an astronomy diary - This is the one for you. It is not obligatory thing to do but it helps you a lot. Writing an astronomy diary concentrates the mind - it can be just the date of the day, what binoculars you used or was it a windy night or not, how bright were the stars that night, did you notice something magnificent like a faint glow. It is good that you are able to look back on your early experiences and sightings in years to come as it gives better meaning to your astronomy for beginners activities now. As we mentioned at the beginning that this might work for some people and for some it wont so it is not a big mistake to not keep your own diary. 9) Lose your ego - Astronomy and star gazing teaches patience and humility - and you better be prepared to learn them. You can't expect everything to go smooth at the first times but you have to remember that it's not the end of the world. But as your astronomy adventures go on you will increase the knowledge and then you will succeed. 10) Relax and have fun - Part of losing your ego is not getting upset at your telescope because it is less than perfect. Thing like perfection really doesn't exist, no matter what you ended up paying. Learn to take pleasure in whatever your instrument can indeed show you. The more you look and examine, the more you will see — and the more you'll become at home in the night sky. Set your own pace, and delight in the beauty and mystery of our amazing universe.